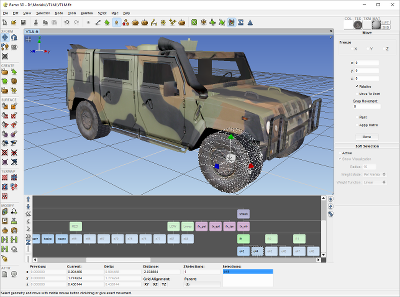 The delta3d open source game and simulation engine is built on top of OpenSceneGraph and adds an extensive suite of tools to streamline development. The latest release adds support for osgEphemeris, osgPPU, and osgShadow. Just recently we added a multiplayer vehicle dynamics demo with support for record and playback through the network stealth viewer, come see the release video at http://delta3d.org and start using it today. That leaves 3 or 4 other “show off your stuff” slots…. First come first served. Due to the changes done in order to set the new Joomla site as the main OpenSceneGraph web, we have had to change the URL of the svn server. OpenScenenGraph sources are now at http://svn.openscenegraph.org/osg/.